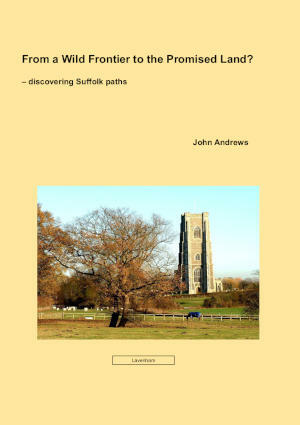 This article was first published in Waymark, Winter 2018–19 (£, vol 31/3), the journal of the Institute of Public Rights of Way and Access Management, and is reproduced here by kind permission of the then editor. It was prepared by me for and on behalf of the Open Spaces Society. The version here incorporates amendments to the original article in the light of subsequent correspondence — I’m grateful to those who have highlighted any shortcomings. The article refers to the current law in England, but while the relevant provisions of the Deregulation Act 2015 do not extend to Wales, I believe the present position broadly to be the same in Wales. 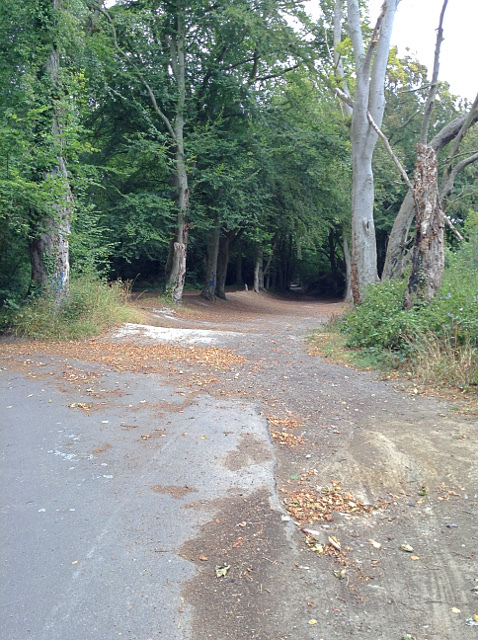 An application for a definitive map modification order to record this way, at Dane Hill, near Palmstead, Kent, was registered within one week, prior to the application being notified. Not all surveying authorities are willing to register prior to notification. The promise (if that is the right word) of the reforms to rights of way contained in the Deregulation Act 2015 (the 2015 Act: ss.20–26) appears like a mirage — always shimmering on the horizon, but never quite within reach. 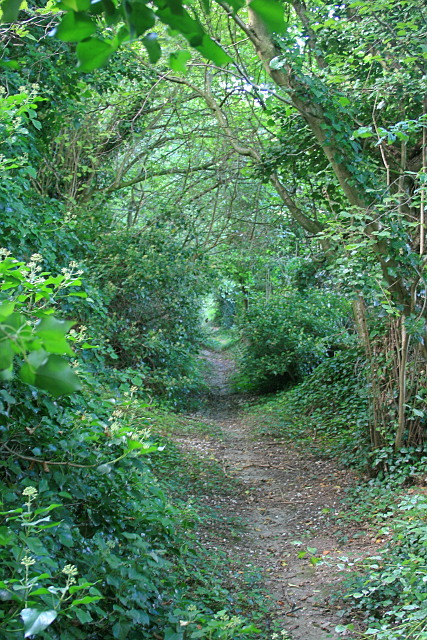 So the news, announced in autumn 2018 by Defra, that implementation has been put back a further six months, and now cannot be sooner than late 2019 (but don’t bet on that target), means that we must live with existing systems for recording rights of way for at least another year, and perhaps a good deal longer. And as rights of way user bodies begin to shift into a higher gear on promoting and co-ordinating research into historical rights of way, and volunteers (and in the case of the BHS, professional contractors under its Project 2026) raise the rate of application for definitive map modification orders (DMMOs) under s.53(5) of the Wildlife and Countryside Act 1981 (the 1981 Act), the operation of the existing legislation for handling such applications deserves continuing scrutiny. Not just because surveying authorities — at least in some parts of the country — are now receiving considerable numbers of applications for historical routes, but because proposed transitional arrangements under the 2015 Act will rely on the correct processing of applications by the authority to which they are made. The 2015 Act, taken with Part II of the Countryside and Rights of Way Act 2000, will — if brought into force — extinguish historical (i.e. pre-1949 in origin) footpaths and bridleways if they are not recorded on the definitive map and statement by the ‘cut-off date’ of 31 December 2025. Under draft regulations considered by the stakeholder working group (which commended the 2015 Act reforms), a historical way will be excluded from extinguishment if it is identified in an application for a DMMO — but only if the application has been registered. Registered means the application must be included in a register held by the surveying authority under s.53B of the 1981 Act. Applicants ought to be (or at least, will in future be) keen to ensure that every application founded in historical evidence is duly registered, so that the application way endures past the cut-off date. There remains some uncertainty about what will happen to applications made close to the cut-off date which are not registered in time, but we can probably assume that specific provision will be made. The procedure for an application for a DMMO is set out, for now, in Sch.14 to the 1981 Act. But practice varies between surveying authorities. Some register an application soon after receipt, while others do nothing until they have received (under para.2(3) of Sch.14) a certificate of service of notices on owners and occupiers of land. A few — perhaps unfamiliar with applications — appear to have no register at all. What does it take to get an application registered? 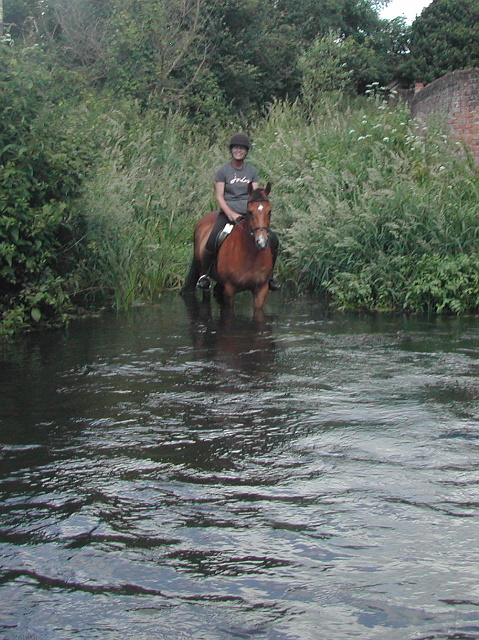 The starting point is that an application must be made in accordance with para.1 of Sch.14 — that means in the prescribed form (Sch.7 to the Wildlife and Countryside (Definitive Maps and Statements) Regulations 1993), with a map to at least a scale of 1:25,000, and copies of the evidence. There seems little doubt that authorities can waive some non-compliance with those para.1 requirements — Dyson LJ in R (on the application of Winchester College & Anor) v Secretary of State for Environment, Food and Rural Affairs expressly allowed for local authority discretion where the extinguishment of rights for motor vehicles is not in issue (see para.55 of the judgment): anyone who tells you that Winchester is authority for demanding strict compliance in the general context of a DMMO application doesn’t understand the judgment. But if the authority wants to insist on rectifying non-compliance, now is the time to do so — not after registration, and certainly not some years later when an officer finally grapples with the detail of the application. Under the Public Rights of Way (Register of Applications under section 53(5) of the Wildlife and Countryside Act 1981) (England) Regulations 2005 (the 2005 Regulations), an authority must register an application within 28 days of receipt (r.3(6)(a)). The 2005 Regulations do not define ‘application’. So what is an ‘application’, the receipt of which triggers the 28 day countdown? That is not to say that the authority must, before registration, determine the application, or even carry out a preliminary assessment (as it will be required to do after the 2015 Act is brought into force). At this stage, it must be enough to exercise common sense — check for the correct form, properly completed, map to sufficient scale, list of evidence, evidence attached (not whether the evidence is sufficient), signed, dated. This is not the time for an investigation, but a cursory check. But if there is anything present (or not present) which, later on, would cause the authority to decide that it cannot even determine the application (as opposed to refusing it), then it should be identified and communicated right away. if the application looks properly made in accordance with the requirements of the legislation, it can be registered — and if it isn’t, the authority should write back and point out the mistakes. This might also be a good time for the authority to offer any advice to the applicant about the ownership or occupation of the land affected by the application, if the authority has particular knowledge. Whether an authority can communicate that knowledge to an applicant (who, after all, by virtue of para.2(1) is under a duty to serve notices on the owners and occupiers) without breaching data privacy is an interesting question to which I do not have the answer. But it is at this stage that some authorities’ practice differs, with an insistence that the authority will take no action on an application until the applicant has proceeded to comply with the requirements of para.2 — the service of notices, and certification of compliance. It may be said by the authority that there is no ‘application’ at all, and that the requirements of the 2005 Regulations do not bite, until the applicant has got past para.2. That insistence may be wrong, for several reasons. First, there is the plain language of the 1981 Act itself. Para.1 provides that 'An application shall be made in the prescribed form', and sets out what must accompany the form. Para.2(1) then requires that, 'the applicant shall serve a notice stating that the application has been made…'. This makes clear that ‘the application has [already] been made’. What is required of the applicant by para.2 is notice of something that has already happened — the application. Thus, where the 2005 regulations refer to an 'application', they must bear the same meaning as in the parent Act — and that is that an 'application has been made' when the requirements of para.1 are satisfied. The third reason relies on an amendment made by the Deregulation Act 2015 (Sch 7, Pt 1, para.4), to insert new s.53B(4A) into the 1981 Act (this amendment, in common with the 2015 Act reforms generally, has not yet been brought into force). The amendment provides that (following implementation of the 2015 Act), the 2005 regulations can be amended so as to provide that an entry need not be made in the register until after the authority has served notice of the application on owners and occupiers (under the 2015 reforms, the authority takes on from the applicant responsibility for service of initial notices). Such an amendment would be redundant if an application was not complete until notices had been served. It suggests that the 1981 Act (and therefore the 2005 Regulations) contemplate an application being complete after compliance with para.1 — and before compliance with para.2. The fourth is a matter of practicality. It is unhelpful to wait until the applicant has wasted his or her time, the notified owners' and occupiers' time, and the officer’s time, by serving notices and providing a certificate of service (still less by posting notices on site where required under para.2(2)), and then point out, after all of this has been done, that the application was non-compliant — and please could the applicant fix it and start all over again? The applicant surely is entitled to be informed, soon after application, whether the application is considered sufficiently whole to be entered on the register, and to be notified to the owners and occupiers. The applicant can then proceed to para.2 notification. Owners and occupiers need be troubled only when the applicant, and the authority, are confident that the application is duly made. And for the fifth, we must turn to the 2005 Regulations. The provision, in r.3(6)(a), demands that: 'An entry in the register [relating to an application] shall be made by the later of: (a) the date falling 28 days from the date such application is received by a surveying authority' — not the date that the para.2(3) certificate is received by the authority. The regulations demand that the application (referred to as such) is registered within 28 days regardless of whether, and if so, when, it is certified. If the regulations intended to allow 28 days from the date of receipt of the certificate, vice the application, they ought to have said so. It is not that para.2 notification is dispensable. An applicant may in certain circumstances be content that the application remains on the register potentially indefinitely, and see no need to comply with para.2. But para.3 is clear that the authority is under no obligation to determine an application, and the applicant cannot after one year ask the Secretary of State to direct determination, unless the para.2(3) certificate of service has been received. That is a powerful driver for compliance with para.2, at least for most applicants. Each of these elements should be taken sequentially. Some surveying authorities resist registering applications ahead of certification partly because, in consequence, a landowner may be astonished to discover a registered application (of which the landowner has not been notified), still more one which the authority has no duty to determine, yet is destined to remain on the register indefinitely — a blight on the property. Perhaps so — although the authority cannot be held liable for implementing the legislation in accordance with its duty. But consider the position where a person acquires land following a clean pre-purchase search, only to discover subsequently that the surveying authority was in receipt of a duly made application to record a right of way across that land, and that the application did not appear on the register (and was not notified on the search) because, owing to the para.2(3) certificate being outstanding, the authority had failed to register it within 28 days in accordance with the 2005 Regulations. The authority may well be liable for nonfeasance, because the authority would be in breach of its duty to register, and the failure to register may have serious consequences for the purchaser. The primary duty must be for the authority to register applications — not to concern itself with the consequences of registration where the registration is done lawfully. In any case, any open-ended sterilisation of land arising from a registered application which has not been certified will, on current expectations, be brought to an end by regulations implementing the 2015 Act. These may well require surveying authorities to carry out a preliminary assessment on all registered applications, whether they have been notified or not. If those arrangements are confirmed, expect to see more applicants resile from para.2 service in the run up to the implementation date. Otherwise, the service of notices by the applicant generally is a pre-requisite to determination. But it is not a pre-requisite to registration, and common sense suggests that authorities should confirm whether applications are duly made within a short time of receipt — and if they are, add them to the s.53B register within the 28 days allowed. This article was first published in the Spring 2018 issue of Waymark, the journal of the Institute of Public Rights of Way and Access Management, and is reproduced here with kind permission of the editor. Section 257 of the Town and Country Planning Act 1990 confers broad powers on the local planning authority, by order, to stop up, divert or improve a footpath, bridleway or restricted byway (which I shall refer to indiscriminately as a ‘public path’) where it is necessary to enable development to be carried out in accordance with planning permission. A widespread view is that paths diverted by s.257 may not be made subject to limitations. This article poses the question — why not? Can a s.257 order authorise this structure on the diverted path? A limitation is not defined in statute law, but is generally thought to be a constraint nominally imposed by the landowner on the otherwise lawful public entitlement to use the highway. 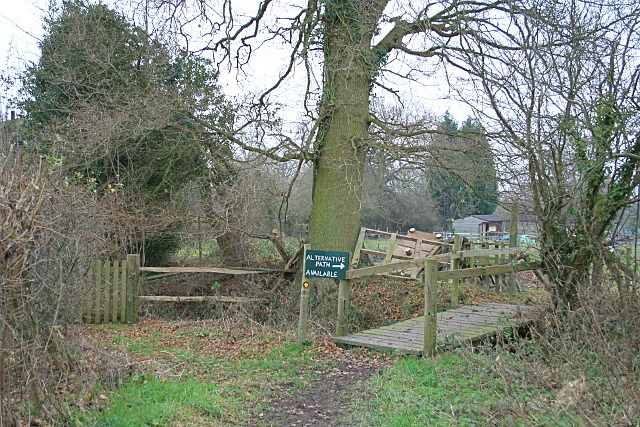 A stile or gate is the most obvious and commonplace limitation encountered on public paths. This variance in drafting is often held to mean that s.257, lacking the express power to impose limitations found in s.119(4), cannot be used to create a new public path subject to limitations (let’s leave aside here the question of conditions, the meaning of which is elusive). But we should make some allowance for the diverse origin of these provisions: s.257 originates in s.94 of the Town and Country Planning Act 1968 (and before that, for highways generally, in s.49 of the Town and Country Planning Act 1947), while s.119 originates in s.42 of the National Parks and Access to the Countryside Act 1949. Thus s.119 was conceived in the 1949 Act which established the definitive map and statement — including s.27(4), which provided for the statement to contain any ‘limitations or conditions affecting the public right of way’. It was hardly surprising that Parliamentary counsel, drafting both clauses in Part IV of the Bill, saw a need for diversion orders expressly to amend the definitive statement in relations to limitations, and put words in s.42 to do just that. And while the provision for limitations in s.119 has, because of its neighbouring familiarity, found its way into other powers subsequently inserted in the 1980 Act to divert paths — ss.119B (schools) and 119D (SSSIs) but not, oddly, s.119A (railways) — and is seen in the powers to create paths (ss.25 and 26), which also originated in the 1949 Act, it is not found in s.30 (dedication of highway by agreement with parish council). Why not? Because the 1980 Act is a consolidating act (it draws into one place provisions found previously in many acts), and s.30 does not derive from the 1949 Act, but from s.8(1)(g) of the Local Government Act 1894. It was drafted in another era, and no-one saw fit, in 1959 (when highways legislation was first consolidated) or in 1980 (when the legislation was consolidated again), to revise it to bring it into line with other provisions in the host Act. Does this mean that s.30 agreements cannot include limitations? No more nor less than s.257 orders. Subs. (2) above was added to the 1959 Act, to expand on what was originally contained in s.8(1)(g) of the 1894 Act, and remains part of s.30 of the 1980 Act. 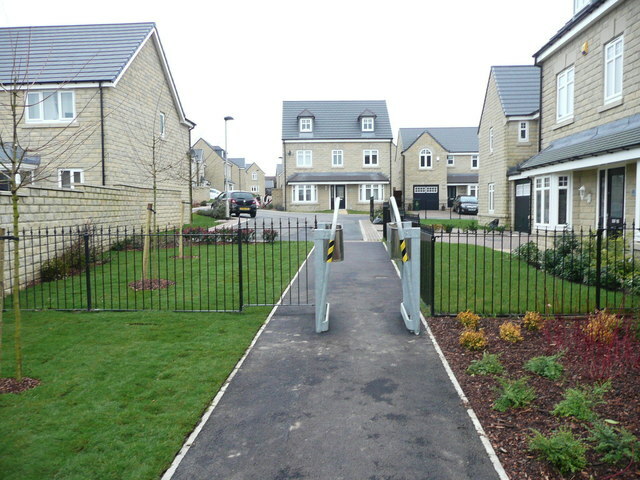 • a private road crossing with gates. But some of these works would amount to a limitation on the newly created public right of way — for example, a gate or chicane. Can an order under s.257, or an agreement under s.30, provide for them, notwithstanding the absence of express words about imposing limitations? Section 257 is a pretty flexible provision: it facilitates development on land crossed by public rights of way (and s.247 does something similar for land crossed by highways generally). It enables stopping up, or diversion, or combined stopping up and creation, or stopping up together with improvement of an existing highway. It enables a replacement way to be of a different status to the one stopped up (although if the replacement way is a carriageway open to mechanically propelled vehicles, it seems there can be no provision for works under subs.(2)(a)). Beyond the initial ‘necessity’ mandate, it imposes no statutory tests on the confirmation of an order other a simple merits assessment. Why should we infer that, despite this flexibility, and despite a power to provide for works, those works cannot limit the right of way in any respect? There is no obvious reason why s.257 should address limitations: it is enacted in an Act about planning, not highways. Limitations are not mentioned in the 1990 Act (nor in the 1968 Act) in this context. It would be very odd to read 'works' as being confined to things which do not amount to limitations, particularly because such an interpretation would greatly limit the scope of the developer to remedy the constraint imposed by the existence of a highway across the development site. If the site is being developed for housing, that may not always be a problem — but what if it's being developed with an agricultural barn, and stiles or gates are essential to the alternative route — can it really be intended that s.257 is useless for such purposes, and recourse must be had to s.119? What if the diverted way begins in a field, and then crosses a housing estate: must the necessary gate out of the field be authorised under s.147? Section 30 had different antecedents. But it is now nearly 125 years old. It would be an empty power if a parish council could not agree with a landowner to create a new highway unless it was free from limitations. 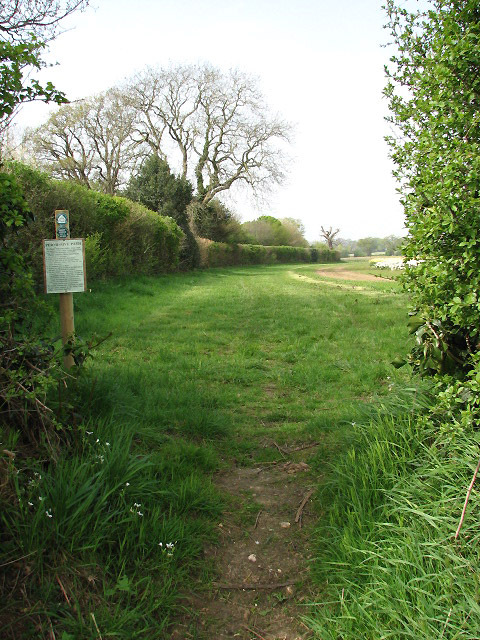 It would be impossible to create a public path across fields (no stiles or gates allowed). Apart from s.30 (and s.119A), s.116 of the 1980 Act also lacks a power to impose limitations. S.116 enables a highway to be diverted in the magistrates’ court. Its origins are found in s.16 of the Highways Act 1773, and quite possibly earlier than that. But neither s.116, nor the provisions from which it is derived, have anything to say about limitations or even works. 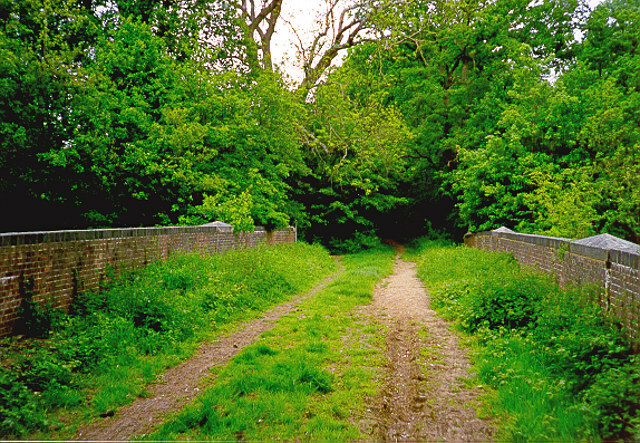 Yet many readers will have encountered court orders diverting public paths which inevitably provided for the negotiation of field boundaries by gates or stiles. Some are still made with such limitations today. Is the presence of these limitations unlawful even now — after all, limitations cannot be legitimised by the passage of time? Or can we conclude that the express power to impose limitations in the s.119 suite of provisions is an ‘avoidance of doubt’ provision — there to make clear that the power exists (and should be employed where appropriate), but not to be taken so that its absence from other provisions implies that the power is then wanting? 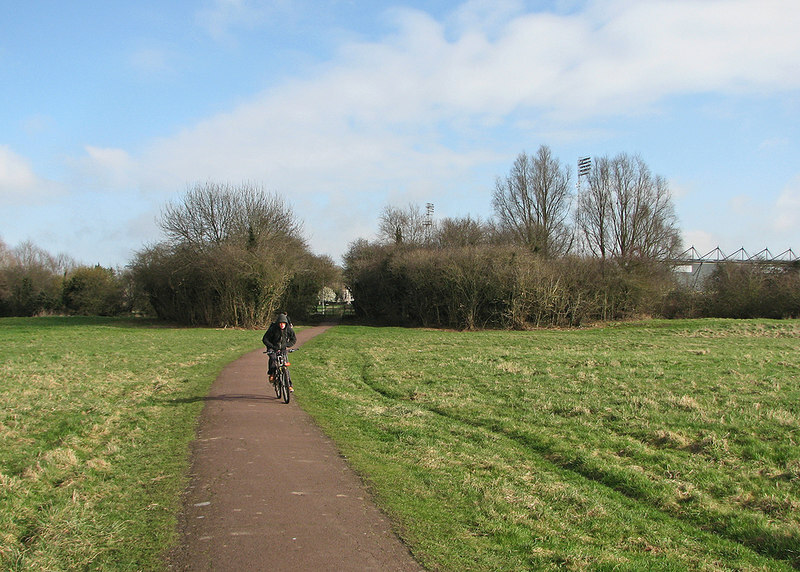 After all, the creation of a new public path is a bargain between the local authority acquiring new rights across land on behalf of the public, and the landowner conceding those rights. 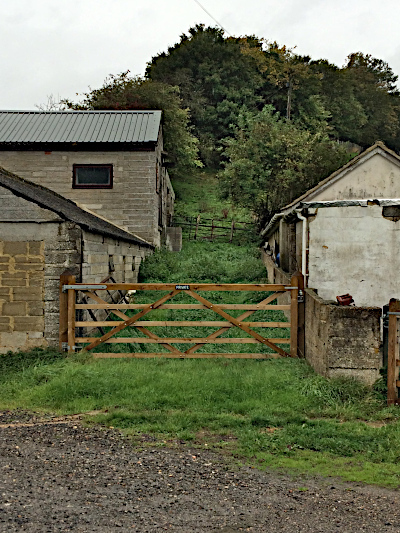 Why should it be an ‘all or nothing’ arrangement by which the landowner is compelled to retain nothing of benefit (such as the right to maintain a gate)? Even if the answer is ‘no’ (and that would have a pretty radical impact on the efficacy of s.116 orders), we can still rely, for the purposes of s.257 and s.30, on the power to construct works. Works specified in a s.257 order or s.30 agreement may well not be limitations, and need not be recorded in the definitive statement — but they may be, in which case, they should be. It surely is a bizarre interpretation of s.257 which requires the works contemplated by s.257(2)(b) carefully to be sifted out to decide which do not amount to limitations and so are capable of authorisation, without any clear words to impose such a requirement. If the draughtsperson intended such an outcome, why was the expression ‘works’ not expressly constrained in any way? Such drafting is consistent with r.2(1), and the gate is a work contemplated by s.257(2)(b). Why should the gate now not be recorded as a lawful limitation in the legal event modification order? The express reference to limitations in s.119 of the 1980 Act is helpful, and ensures that provision for limitations is considered in the context of any public path diversion order. 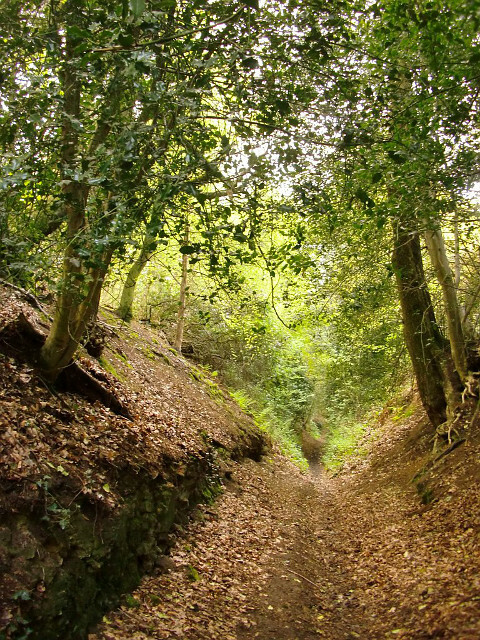 But it should not be taken to establish the benchmark for all other provisions enabling the creation of new public paths, which originate in other enactments, from other eras, with other purposes. There need be no limitation on the use of limitations. In 2014, Allen Lambert, an employee of the Stody Estate in Norfolk, was convicted of offences under s.1 of the Wildlife and Countryside Act 1981, involving the poisoning of raptors. The offences are not in doubt. However, a recent High Court case, R (on the application of Stody Estate Ltd) v Secretary of State for the Environment, Food and Rural Affairs, has questioned the extent of penalties which may be imposed for breaches of cross compliance under the Common Agricultural Policy. But back to the present. In the case before the court, the judge started off on the wrong foot. She was poorly briefed by counsel on the purpose of direct payments: she says (para.1), ‘after 2003 [the scheme] changed to one of incentivising conservation: payments were directed to the preservation of the environment, wildlife and habitats.’ Well, if that’s true then, to use the words of one former assistant secretary in charge of the scheme, when challenged on this point in a stakeholder meeting, for €3.5bn per annum, ‘it’s a bloody expensive environmental scheme.’ The truth, of course, is that it’s not an environmental scheme, but a farming subsidy scheme with some environmental dressing. Under the direct payments scheme, claimants (i.e. farmers who claim subsidy under the Common Agricultural Policy, meaning nearly all) must subscribe to cross compliance, which is a roll call of most of the sectorally-specific statutory obligations under which farmers operate (such as observing the testing regime for tuberculosis in cattle, keeping rights of way unobstructed, and yes, killing of wildlife contrary to s.1 of the 1981 Act). It will be observed that statutory obligations are just that — they must be adhered to regardless of cross compliance, or subsidy, and breaches can usually be enforced through prosecution or, in some cases, civil remedies. But cross compliance theoretically gives the enforcing agencies added heft, because a breach may also, or alternatively, be acted upon by deducting penalties from direct payments. In practice, it is usually 'alternatively', if at all, because the capabilities of the enforcing agencies have been undermined by a decade of cuts, and Ministerial antipathy to farm inspections. Indeed, as fewer than one per cent of claimants are inspected each year for cross compliance, it might be imagined that the deterrence effect even of cross compliance ought to be minimal. Where a breach arises from negligence, the penalties are typically a small percentage of the annual subsidy — perhaps three per cent (although three per cent of a payment exceeding £1m on a large estate of say 5,000ha is still quite a large penalty. Stody is around 1,700ha). But as the court explains in the judgment, where the breach is 'committed intentionally by the farmer', the penalty may be raised as high as the annual value of the subsidy itself. That is what happened in the Stody case: a penalty of 55% was imposed. There was a further step involved in the Stody case, before it reached the court. The estate challenged the penalty, and in due course, appealed to the Minister. The Minister is advised by a panel, who hear the appellant, and report to the Minister with their recommendation. The panel is lay, the members are mainly from the agricultural community, and the secretary is an official but not a lawyer. It may be seen that this is not a structure which is likely to inspire great confidence in the wisdom of the panel's decisions, although, if properly briefed (which the panel may not be), and effectively chaired, the panel is capable of acting as a fact-finding tribunal. But it has little knowledge of the law, and may not be briefed on the legal questions which may arise in a case. In theory, this gap can be filled by officials' covering submission on the panel's report to the Minister, but by then, it is too late to revisit or probe for any missing or unsatisfactory issues of fact. It may also be noted that, in practice, the decision on an appeal really is taken by a Minister. This is not a legal requirement — almost every decision of the Secretary of State may be taken by officials acting on the Secretary of State's behalf — but one desired by Ministers (and by farmers). It contrasts with, say, decisions taken on behalf of the Secretary of State in relation to works on common land, where even the most significant determinations are made by officials or inspectors. But if a farmer appeals a £200 penalty, Ministers decide. In the Stody case, the panel recommended a reduction in the penalty of 75% imposed by the Rural Payments Agency, and the Minister agreed. It was the decision nonetheless to impose a hefty penalty of 55% which was challenged by way of judicial review. The court (Mrs Justice May DBE) had to wrestle with the question of responsibility for the poisoning. Undoubtedly, Mr Lambert was employed by the estate when he committed the offences. What was in question was whether the poisoning could be held to have been 'committed intentionally by the farmer' contrary to the relevant EU regulation. In this case, the Stody estate is a limited company, which employed Mr Lambert (one assumes that it no longer does). There is no evidence that the directing mind of the company (Charles MacNicol is currently the Managing Director) knew what was going on. It is sometimes said, in relation to poisoning done by gamekeepers, that a 'don't ask, don't tell' policy is in place, but again, there is no suggestion of that here. That was all very well, but the Stody case related to acts done by an employee, not by a contractor. PannageMan is not a lawyer, and does not wish to research the full gamut of corporate and employment law, but he recalls a principle whereby an employer is liable for the actions of employees unless it is determined that those actions were so contrary to what was required and expected of the employee that the employee must have been off on a 'frolic of his own'. Whatever, the court chose to chart a different course. It was unpersuaded by counsel for the Secretary of State that the European Court's decisions in relation to competition law had treated the decisions of employees as binding the employer (para.35): ‘competition law operates as a deterrent whereas the primary purpose of the SPS is to incentivise, to encourage farmers to conserve wildlife and the environment.’ Well, hardly — and even less so if offences against the environment are to attract only a trivial and infrequent sanction under the scheme. Equally, the court rejected a fairly heroic intervention from counsel for the National Farmers' Union (which obtained permission from the court to intervene: perhaps the Stody estate was backed by the CLA instead) that, under the EU regulation, it was necessary that a breach was committed by the farmer him, her or itself — and in relation to the claimant company, the Union suggested that meant the managing director, Mr MacNicol, or perhaps, but only perhaps, his estate manager. But the court did find 'that there is no uniform understanding across Member States of the distinction between employees and independent contractors', and the principles of the Van der Ham case could not be confined to farms using contractors. A farmer, for the purposes of the direct payments regulations, did not mean any or every employee. Mr Lambert's activities could not, 'without more', satisfy 'the requirement in Article 23 that cross-compliance breaches be "the result of an act or omission directly attributable to the farmer".' The Minister's decision to impose penalties was quashed. The judgment is at first worrying, but perhaps also understandable. Worrying, because it appears at first blush to let farmers off the hook for the deeds of their employees (or indeed, anyone else other than the directing mind of the business). That seems to offer a 'get out of jail free' card for any breach — 'I didn't do it, it was my farm worker, I told him not to do it'. But as the judge points out, in Van der Ham, the European Court did not give a farmer immunity for the actions of a contractor: it said (para.50, quoted at para.21 of the judgment): 'In such a case, even if the beneficiary of aid's own conduct is not directly the cause of that non-compliance, it may be the cause through the choice of the third party, the monitoring of the third party or the instructions given to the third party.' In other words, the farmer may still be held liable, but there must be some evidence that the conduct of the farmer is intentional or negligent, perhaps in failing to properly brief an employee or contractor (e.g. as to environmental features protected by cross compliance, or failing to take steps to follow up allegations of raptor poisoning). In practice, where the penalty imposed is at the lower end of the scale at around three per cent, it may not be too difficult to find that the farmer acted negligently by failing to properly regulate the activities of those working on the farm, whatever their relationship to the farmer. After all, if you ask a contractor to harrow a field, but fail to point out that there's a footpath across it which you want reinstated, it's not hard to conclude that you've been negligent. But it's quite another thing to demonstrate that the intention of an employee is the intention of the employer. This appears to shift the burden onto the Secretary of State (or at least, the Rural Payments Agency) to establish intention or negligence. But not so fast. The judge (para.35) notes: 'the approach of the Court in Van der Ham to an evidential presumption adopted by the Dutch authorities: the Court had no objection, provided that an opportunity was given to the farmer to rebut the presumption (see the discussion at paras 38-42 of the Van der Ham decision).' So the Agency can presume the farmer to be responsible, but must give the farmer an opportunity to challenge the presumption. And that is exactly what the appeal panel should be doing — if only it were properly briefed. Instead, it approached the Stody case on the assumption that the estate was inevitably liable for the wrongs of its employees, and merely had to relay any mitigation to the Minister. It will surely now hear the claimant again, and form a view as to whether the estate had acted intentionally or negligently in the matter of the raptor poisoning. Alternatively, of course, the Secretary of State may appeal (there is no suggestion in the report of a referral to the European Court). But I suspect that is unlikely, as Ministers may well be content with a decision which constrains their power to impose penalties. Farmers will like that.